If you’re considering selling your home in the near future, you want to do everything you can to increase the asking price and ensure a sale. A roof replacement comes with several advantages that will help raise the property value. For more details about how you can benefit from a new roof, consider the helpful information below. Missing shingles and unattractive roof colors can make your home’s exterior seem unappealing to potential buyers. They are more likely to purchase a property that has most of the interior and exterior features they desire. With a new roof, you can make your home visually pleasing, increase your selling price, and raise the probability of a bidding war. Another attractive feature homebuyers seek is energy efficiency. A new roof can save buyers on utility bills in several ways. For instance, during the roof installation process, the contractors will ensure proper ventilation is in place. Air vents on the roof are not only crucial for indoor air quality, but they also help keep cooling costs down by preventing the attic from overheating. A new roof also gives you the opportunity to install energy-efficient, light-colored shingles that reduce heat transfer so that the cooling system won’t have to work overtime to keep the house at a comfortable temperature. If an inspector deems your roof to be in poor condition, you could run into delays in selling your home. Potential homebuyers may back out of a purchase if they discover the roof needs serious repairs or a total replacement. They could also use the condition of the roof to negotiate a deal that lowers the asking price. By investing in a new roof, you gain the upper hand and can avoid costly inspection problems down the road. If you’re interested in updating your home’s exterior before selling, don’t hesitate to contact the professionals at Ray St. Clair Roofing. 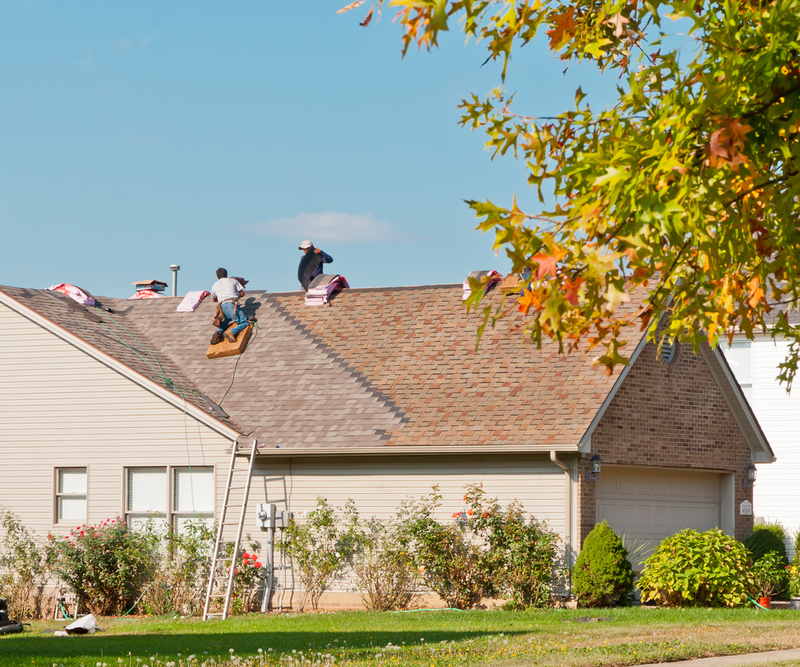 Serving the residents within the Greater Cincinnati, OH, area for more than 60 years, they provide several affordable services, including roof replacements, repairs, and maintenance. They also offer exceptional gutter services, replacement windows, and chimney repairs. Call (513) 874-1234 or visit them online today to learn more about their residential roofing services.